Well, I was very curious that there has been no write up as yet on the new badaga movie, ” gavava thedi ” on our website… I am sure you are having reasons !! As the director of the movie was a friend of my dad’s friend , we went to see the film. It is not a bad attempt at all for a badaga movie , yet there were a few lapses which were prominent … for instance there were typical commercial elements inserted …may be for the front benchers … but time and again audience have encouraged and supported good directors like Mr. Radha Mohan … . Hope our future badaga moviemakers will be bold enough to make movies they believe in. There was also poetic injustice in characterisation because the evil character (the hero’s so called friend ) is not punished till the end . Anyway , these are beginning days for badaga movie ventures and hope everyone goes to watch this movie , at least to encourage such entrepreneurs for the coming generations . Hoping to see what other visitors to our site feel about this movie ! Thanks for the mail. I would like to share many things with you. First, I would like to introduce myself. I am Dr.S.Mahesh Babu, Ph.D (Biotechnology) and I belong to Kavaratty village. I am very much interested in all fine arts, including arts, music, photography, videography and digital film making. Already I have done some TV serials in Badaga and Tamil. In fact, my dream was to make a Full Digital Badaga Movie, and I am happy I have done that. I have done the ‘ Story, Screenplay, Dialogue, Music and Direction’ for the Badaga movie “Gavava Thedi”. I had done all the post production work including editing, dubbing, rerecording, mixing and making the final film in a Hard disk. Santosh writes in Badaga.org, quoting an article in the Hindu (by D.Radhakrishnan) on 18-07-08 “With the shooting for the film ‘Gavava Thedi’ (in search of affection) getting under way at Kenthala village near here a couple of days ago, it is once again time for lights, camera, action among the Badaga community of the Nilgiris. The film will be the third in the Badaga dialect after ‘Hosa Mungaru’, which was released a couple of months ago and ‘Kaala Thapitha Payilu’, which hit the screens in the mid-1970s. Stating that the story of ‘Gavava Thedi’ revolves around a 12-year-old girl who had lost her mother when she was very young and whose father has been incarcerated for some offence, the director of the film S. Mahesh Babu told The Hindu here on Thursday that the thrust of the film will be on the importance of domestic harmony and the joy of togetherness. Culture : While narrating the story through visuals, which would capture the beauty of the Blue Mountains, the film will showcase the unique culture of the Badagas. Pointing out that the lead role would be played by a Badaga youth Jagadish, he said that it will also feature actors Mamtha and Bharathy of Bangalore and Pooja of Mumbai. Stating that the Todas of the Nilgiris will also figure in the film, he said that it is likely to be released in about two months. It is also likely to be dubbed in other languages…. The movie was done in Standard Definition (SD) and later converted to High Definition (HD) which gave 100% digital clarity. The movie was screened in Ooty Kempegauda theatre which ran for 40 days. Jagadish, who belong to Balacola village is the Hero of the film and the heroines are from Bangalore. I have made most of the Badagas act in the movie. I shall send some photos of the movie in my next mail. Now after taking the movie out from the theatre, I have planned to screen the movie for 2 or 3 shows in important cities like Chennai, Bangalore, Coimbatore, Gudalur and Coonoor with the support of the respective Badaga Associations. I expect a good support from our Associations. Now I am into making a Tamil Movie and all arrangements are almost through. Planning for the Pooja around August 15th or so. My future plans are to continuously produce some nice digital movies. If I get some good producers, I can prove my talents to the maximum. Sir, with regard to the DVD (on the movie)..I have not yet released the DVD. Once all the projections are over, I am planning to release my DVDs. My Audio has already been released and is in the market. I would like to get good support from people like you, sir, who encourage our talents and be pure in the hearts. Thanks a lot again, sir..expecting your mail shortly. Hope you can spread this message to all our Badaga community people throughout the world. I would like to get comments from all. Wishing Dr.Mahesh the very best in all his endevours! The audio CD of the movie is available for Rs.50. Just amazing being a Badaga, you people made everything in the net about Badagas, really excellent. I watched all Baduga movies, but not satisfied,because it doesn’t look more cinematic?.My hobby is cinema editing and I would like to expose our community in a broad way via multimedia. contact-9789788487. Tie up with me as a team for our community development. Dear Brother..I would like to know the meaning of “More Cinematic”..Please show us how it is done..we all are eagerly waiting for your “Cinematic Movie”..All the very best. 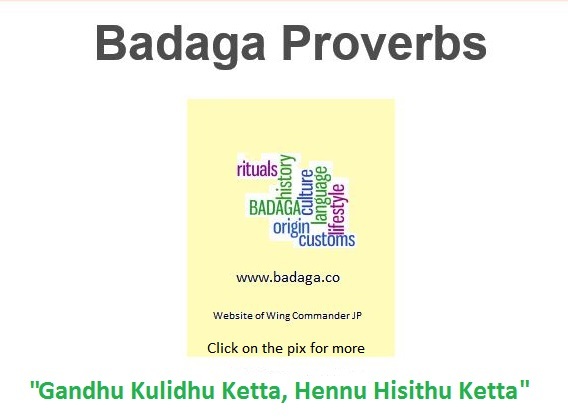 esaga dhevaru ethalaiyu badugaru kolavu sikkirava.. savira kolavu hattalaiyu nanga iyyana harusu sikkira vaaa…….proud to be badaga. I am a Badaga guy and from my childhood I am dreaming to take a Badaga film..but circumstances bought me to do enginneering, still I have a dream of doing a Badaga film portraying our entire culture………..
REALLY I PROUD TO BE A BADAGA…. BECAUSE BADAGA CULTURE IS VERY NICE TO COMPARE TO OTHER CULTURE….. GOOD TRY… ALL THE BEST FOR TAKING MORE FILMS IN BADAGA…. I am really proud to be a Badaga..its great to do the film in Badaga.I think its a good attempt to show our ability to the world…. I feel proud to be a Badaga . First I thank my parents who have given birth to me. Second I thank GOD who has put me in Badaga community. Third I thank Bellie Jayaprakash who has given me the opportunity to interact and know more about my community. 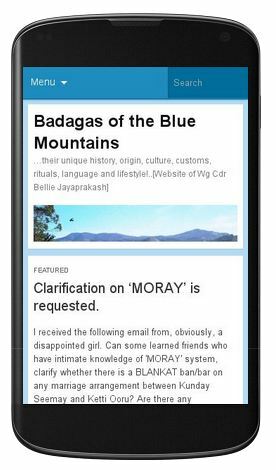 Finally,I have stayed almost in all parts of our country including Andaman and most of the NicoBar islands but I am very proud and lucky to be a person from a well cultured , respected and united BADAGA community, its better to say BADAGA family. Commercial movies are not needed in Badaga language as of now. Portraying the Badaga culture and giving good quality movies. அன்பு சகோதரர் மகேஷ் பாபுவுக்கு பாராட்டுகள். படுகு மொழியில் படம் எடுப்பதில் மிகவும் மகிழ்ச்சி. ஆனால் அதில் வர்த்தகத்திற்காக தேவையில்லாத காட்சிகளை வைப்பதை தவிர்க்கவும். நமது கலாச்சாரத்தை பிரதிபலிப்பது போல எடுக்கவும். மசாலா படம் தான் எடுக்கவேண்டும் என்றிருந்தால் படுகு மொழியில் எடுத்து கஸ்டப்படவேண்டாம்.